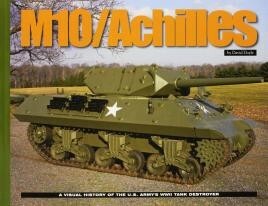 There are a choice of good kits available of both the M10 and the Achilles in 1/35, as well as in smaller scales, so this will be a welcome reference for modellers. It is nice to have all the info in one book, and now we have this chance. Moreover, price is set at reasonable level, so purchase won't damage your balance. Whether you have the models that you intend to use this book for reference, or have an interest in the subject, this book will give you all the reference pictures and some besides, as well as some inspiration for dioramas. Highly recommended.